There are more than 9 million Greek members in colleges and universities across North America. Sororities have historical significance in the U.S., dating back to the late 1800s. 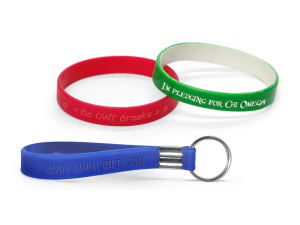 Sorority wristbands can be used for promotions, special events, charity drives, and a variety of other uses. Create a custom message on your sorority wristband. Something generic like “Alpha Gamma Delta 2015” or I’m pledging for Chi Omega can bring attention to the sorority and promote camaraderie. Use Greek letters as artwork on your custom bands for even more customization. 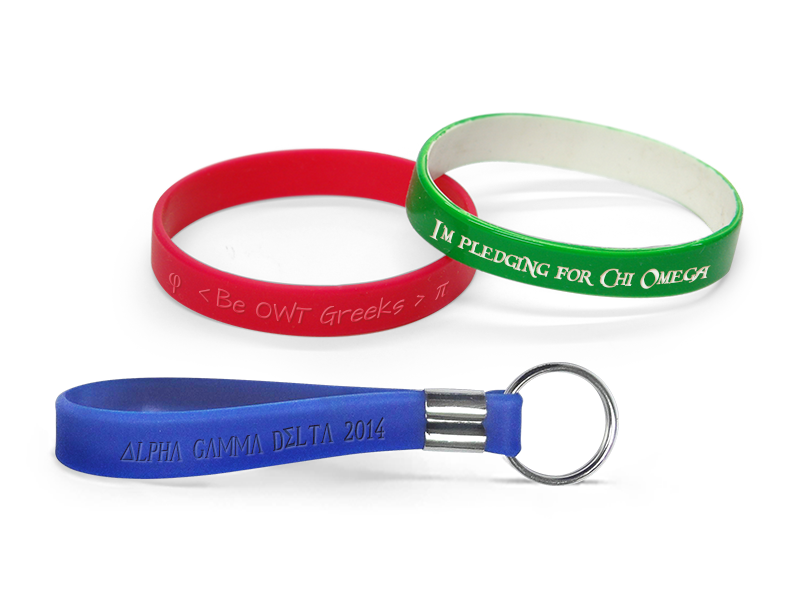 Promote events such as sorority sponsored food drives or community efforts with custom bracelets. The oldest sorority on either list is Alpha Delta Pi, founded in 1851 as the Adelphean Society. It didn’t officially adopt Greek letters until 1905. Add a glitter to your bracelets. Add a glow-in-the-dark effect to your wristbands. Perfect for nighttime events! Order thin quarter-inch wristbands or thick one-inch bands to really make your wristbands stand out. Instead of standard wristbands, put your sorority message on slap bands that snap to your wrist. Use USB bands to store and distribute digital photos and video. At AmazingWristbands.com, free shipping, free artwork, free design, and free color matching. All our silicone products are made of 100% latex-free so they are non-allergenic and comfortable. Many of our wristbands have no minimums and can be delivered within a few days. Build your custom sorority wristband today!